What does math have to do with theology? 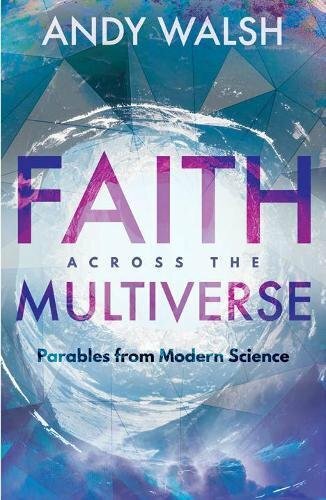 Andy Walsh, Faith Across the Multiverse, makes some interesting connections. The logic of mathematics can help us think more clearly about theology. In Chapter 1 (the second chapter since he starts with 0) Walsh explores paradox, logic, math, and the way we view the world (this is where theology comes in). This is a fascinating chapter that considers the Bible, Math, Geometry, Paul Revere, the Matrix, the X-men, Raiders of the Lost Ark, Contact … and gets us to consider some very important points about God and the nature of our faith in God. If this chapter is an accurate indicator of what is to come, the book should be an excellent conversation starter. I will highlight only a few points that particularly struck me as I read the chapter. Human language is vague and ambiguous. Yes it can be used to communicate clearly – but this is not what always happens. Math uses axioms, rules and proofs to avoid ambiguity. “Math helps us communicate precisely about abstract ideas, which is why I think it can help us wrap our minds around abstract qualities of God and our relationship with him.” (p. 26) There is a reason why many current Philosophy professors were math majors as undergraduates (a fact that surprised me when I first realized it.) Math is great preparation for Philosophy. One example Walsh uses is the distinction between Euclidean and non-Euclidean geometries (although he doesn’t use the word Euclidean). Two lines are defined as parallel if they both intersect a third at right angles. We commonly think that parallel lines remain equidistant and never intersect. But this is an axiom, not a provable fact. The axiom defines a flat space. It is perfectly logical to construct geometries where parallel lines may intersect or diverge – these define a curved space. Both kinds of geometries are useful. 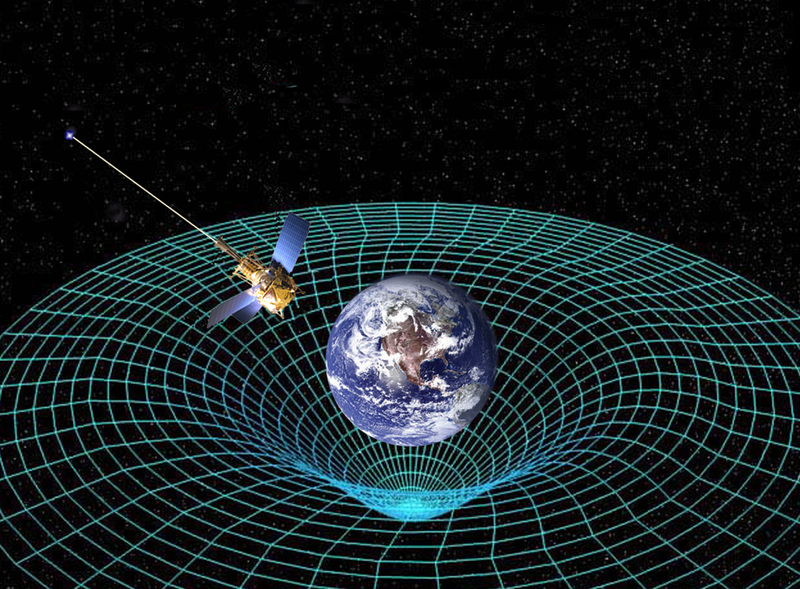 In fact, the geometry of curved spaces turns out to be far more useful in physics than the geometry of flat spaces (image credit NASA). But … the truth of some statements about parallel lines and other objects depend on the nature of the geometry chosen, i.e. the axioms on which the logical framework is based. These axioms are chosen, they are not “self-evident” or provable. This perspective provides us with an operational definition of faith. Instead of defining it in terms of dogma or rejection of evidence, let’s say that faith is choosing a set of assumptions, or axioms, for understanding the world. And if you prefer, we can further refine this definition to state that faith is specifically choosing assumptions that either explicitly include a God or gods, or at least do not explicitly disallow the existence of such a being or beings. Many atheists and other areligious folks bristle at the idea of calling their choice of assumptions faith, and that’s understandable given the general usage of the words. I don’t see any need to insist on that broader definition of “faith;’ so long as we all understand that at some point we are all making a choice of assumptions, and that no particular set of assumptions is privileged a priori nor the only option for a consistent view of the world. Information. Walsh goes on to dig into information theory and the ways in which information can be conveyed. Completeness and God. Walsh speculates on the relationship between completeness and God – The axiom system defined by God is complete and infinite. We are finite and will never know all truth – but that doesn’t mean that God doesn’t or can’t. It is also clear that knowing the axioms is not enough. Just as we will not be good chess players simply because we know the rules – we will not be good Christians simply by choosing God. In both cases we must actually play the game, in fact we must spend many hours playing the game and practicing. Translating that to our definition of faith as choosing God for an axiom, we see that the book of James says something very similar. “What good is it, my brothers and sisters, if someone claims to have faith but does not have works?” (James 2:14). In our terms, choosing the axiom of faith is not enough to know God; it is simply a prerequisite. Knowing God is the process of taking that axiom and figuring out what truths it contains. That means playing the game-living your life according to the theorems, the true statements, that follow from belief in God. This is what James means by showing faith through works, and what separates knowing God from knowing of God, which, as James notes in verse 19, even the demons know of God. And so we have a picture of faith that is not inherently uninquisitive or unempirical. Instead, faith represents a particular set of assumptions about the world, including that God is the ultimate author of the universe and the Bible. These assumptions are not privileged a priori or deductively superior; they are a matter of volition. The work of faith is to discern the meaning in what we observe in the world around us in a way that is consistent with those assumptions and then act accordingly. Faith in God is not illogical, irrational, or “unscientific.” Nor should we expect to be able to prove the existence of God from first principles. We are called as Christians to play the game – to live out our faith. What do you think of Walsh’s discussion of the necessity of axioms in any logical framework? How does this relate to faith in God? Does it challenge some of your assumptions – or those of skeptical friends, family, and colleagues? You may also comment on Math + Theology =? at Jesus Creed. This entry was posted in Problems for Faith, Science and Faith and tagged Andy Walsh. Bookmark the permalink.